Foundation Room is located 43 floors above Sin City at the very top of the Mandalay Bay! This lounge offers one of the best and most breathtaking views of the Las Vegas Strip. Foundation Room doesn’t just rely on the views to impress, however, this small exclusive lounge is decorated with authentic artifacts from India and Tibet, giving it an exotic vibe incomparable to any other club. The lounge includes a fireplace that is surrounded by plush sofas and the custom tables and walls adorned with hand-carvings. This venue always has great bottle service specials and a free entry guest list is generally available most nights of the week. Foundation Room at Mandalay Bay consists of seven secluded chambers, including the serene Buddha and Ganesh Prayer Rooms, the stately Gothic and 1856 rooms, a banquet hall, and a media screening room. This club is the perfect place to hold your next private event. 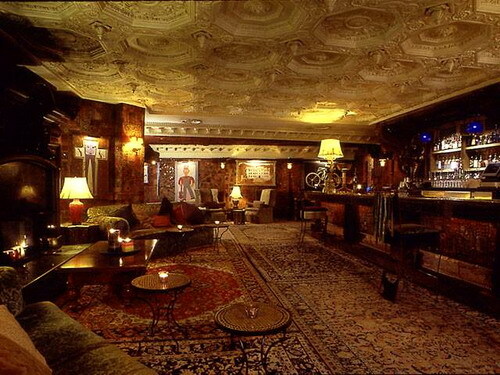 Foundation Room is the perfect place to take in the Vegas night scene, you definitely don’t want to miss this lounge. Check out our Events Calendar and see what’s happening at Foundation Room Las Vegas and view the Dress Code!